Fazliddin Kurbanov, an Uzbekistani immigrant in the USA was detained for alleged support of terrorism. He will appear in court early July and will be held in detention until then. See the official affidavit on the CNN’s website. Is Kurbanov’s case a typical one or something extraordinary? Can one speak of tendencies? Why do refugees, seeking refuge from persecutions in the freest country in the world, wind up under the authorities’ watchful eye? Are the charges pressed against them serious? If they are, what makes them take the criminal path? Who are these people? Terrorists, freedom fighters or victims of special services back home? Sadly, there are no full answers to these questions? Searching the name of Fazliddin Kurbanov in English-language news agencies’ websites, which Google indexes, fetched over 3,000 results on 23 May 2013. This means that the “terrorist” from Idaho was discussed in tens and hundreds of US and world newswires, personal blogs and social media networks. A Russian search only fetched some 150 hits. This many hits would usually testify to a heightened public interest in the detainee or a purposeful information campaign. Indeed, any information on terrorist acts in the USA yields much attention latterly. It is especially heightened following the tragic events in Boston if natives of Russia or the former Soviet Union are mentioned in such news. It is no secret that modern mass media outlets, especially those engaged in the so-called “information wars,” can spin any information to their own benefit. For example, the Russian propaganda channel Russia Today has used the case for its thinly veiled spin to accentuate the imperfectness of the US national security system. As far as specially organized information policies are concerned, some analysts suggest they cannot be excluded altogether. “This could be another hoax aimed at internal consumption. On the one hand, the [United] States must somehow justify its own presence in Central Asia and the [cargo transporting] corridor in Uzbekistan… On the other hand, perhaps this is the continuation of a massive campaign to discredit [US President Barack] Obama’s policies. Obama’s enemies want to present the incumbent president as an incapable and useless politician, who is ought to be replaced by a right-radical Republican a-la [former US President George W.] Bush or [presumably 2008 Republican presidential nominee John] McCain,” says a political émigré from Uzbekistan living in the USA, who wishes to remain unnamed. Surat Ikramov, a respected Tashkent-based human rights activists, told the Uznews.net website that uncovering “Uzbek terrorists” may be useful not only for the US authorities, but for the Uzbek government as well. According to Ikramov, former Uzbek nationals as Fazliddin Kurbanov or Ulugbek Kodirov could perhaps fall victim to Uzbek special service agents under the disguise of Islamists. Mr Ikramov draws attention to the fact that once in the West, “Uzbekistani terrorists” are often charged with financially assisting extremist organizations. Such accusations are ridiculous, the rights activist maintains, because those accused themselves need that very financial assistance. In response to a question on why would the Uzbek special service would undergo all this “trouble,” Mr Ikramov claims that such games are necessary to justify repressions against Muslims in Uzbekistan. A New York-based expert on Islam and Central Asia, Gulnoza Saidazimova, Ph.D., is not surprised at all by either the radicalization of Uzbeks here or by police or mass media reaction to it. She maintains, “There is conspiracy” behind the Kurbanov case. As far as Fazliddin Kurbanov is concerned, Ms Gulnoza Saidazimova has a clear picture on the process of radicalization of any person in the USA. Pieces of indirect information on Mr Kurbanov confirm Ms Saidazimova’s opinion. According to the US mass media, this Uzbek was unable to learn English over the four years he has lived in the [United] States. Consequently, he failed to adapt to the new reality. It is said that many members of the 650-person strong Uzbek community in Idaho are like that. There are several pictures of Fazliddin Kurbanov available online. All of them depict a “classic” image of a beard-growing Muslim, which could certainly be used to scare President Karimov supporters’ children and grandchildren into sleep. Almost identical photos can be found on Mr Kurbanov’s Facebook page. It is curious, however, that the CNN-carried sketches depict Fazliddin as a different person in court. His beard is no longer as long and he looks older than 30 years of age. Mr Kurbanov’s neighbor in Boise, Shukhrat Akhmadjonov who is also a former Uzbek national, has added several touches to his portrait. He has sent a letter to the opposition Popular Movement of Uzbekistan website. In it, Mr Akhmadjonov says he has lived in the same house with the Kurbanovs for two years and has never seen him sporting such an “Islamist” beard. 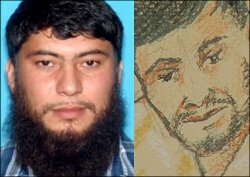 The “Uzbek terrorist’s” neighbor also says the latter was not a religious person at all because he has never showed up in the mosques in Boise, neither for Friday prayers, nor for the holiday prayers. 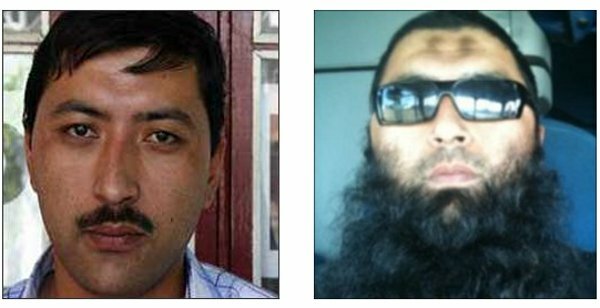 Another Uzbek who became a “terrorist” and a “beard-grower” after having arrived in the [United] States is Jamshid Mukhtorov, whose story is slowly fading away. He was arrested early 2012 on charges similar to those pressed against Fazliddin Kurbanov. The hearing of this individual, who was a human rights activist in Uzbekistan and turned Islamist and supporter of the Islamic Jihad Union, had to take place the last summer. However, no hearings were held or were held behind closed doors and no journalist was informed. However, this is unlikely. Most probably, the investigation was unable to provide enough evidence of the suspect’s guilt. Or do the US special services have their “games”? There is too much strangeness in Jamshid Mukhtorov’s case, just like in Fazliddin Kurbanov’s case. Why did Mr Mukhtorov so openly proclaim his plans to become a “jihadist”? Why did Kazakhstan deport Khurshid Mukhtorov, Jamshid Mukhtorov’s brother, to Turkey, not Uzbekistan? He currently lives there and openly expresses his religious fanaticism views. What was the outcome of a hunger strike Mr Mukhtorov declared?.. In any event, the US state bodies must openly announce the investigation findings. Doing so would calm both Uzbek Muslims, who perceive such cases as persecution against their religion, and the common American citizen, who is concerned with the increasing number of refugees from the former Soviet Union. “To further ingratiate the U.S. to Karimov, the White House has targeted the IMU. Bear in mind, the IMU has never attacked the U.S. Even though a U.S. airstrike killed an IMU founders in 2001, the group has never declared its intent to attack the U.S. Its beef is with Islam Karimov; its goal is to establish an Islamist state in Uzbekistan. The IMU's misfortune has been to fall on the wrong side of the "enemy of our friend is our enemy" equation. We're in bed with Karimov and his fellow Central Asian dictators. Our icky prisoner-boiling pals hate the IMU. Like many radical Muslim groups in Asia, some members of the IMU - a small cadre of fighters estimated to number between 300 and 500 men - trained in Al Qaeda camps in Afghanistan during Taliban rule. After the 2001 U.S. invasion they fled across the border into Pakistan's Tribal Areas, where they established alliances with and fought alongside various Pashtun Islamist groups. IMU fighters have clashed with U.S. occupation forces in Waziristan and Afghanistan. But the IMU has shown no sign of bringing the fight to the U.S. IMU ideology is local and regional, limited to spreading Sharia-based governments first and foremost in Uzbekistan, and in countries like Pakistan if possible. No one - not even the FBI - alleges that the IMU plans to attack the U.S.